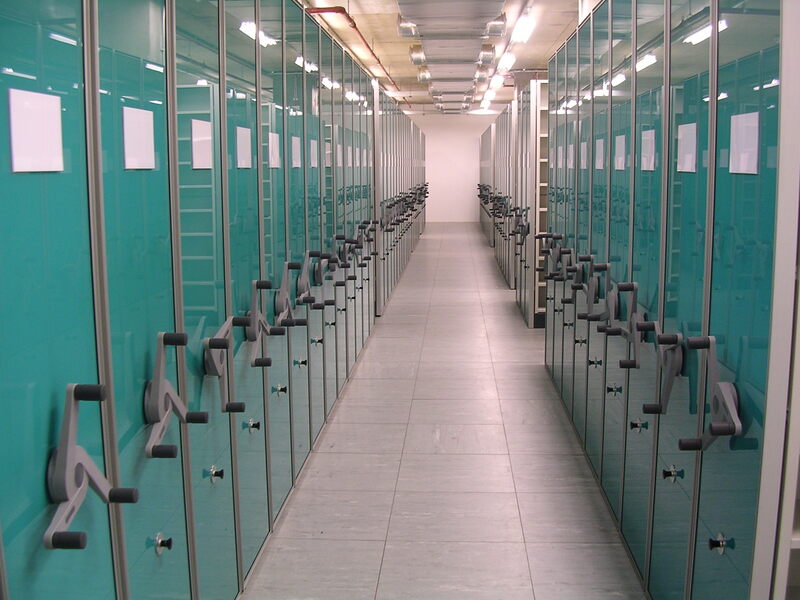 CSI deliver bespoke archive storage solution for BBC Scotland at their new state-of-the-art facilities. The Scottish division of the British Broadcasting Corporation, BBC Scotland delivers quality programming that informs, educates and entertains viewers and listeners throughout the whole of Scotland. 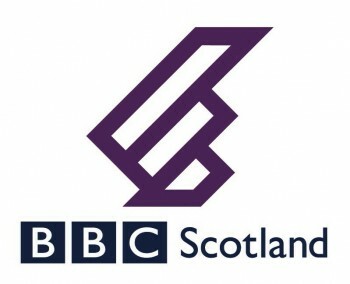 Employing around 1,250 staff, BBC Scotland produces around 15,000 hours of programming for TV and radio every year. 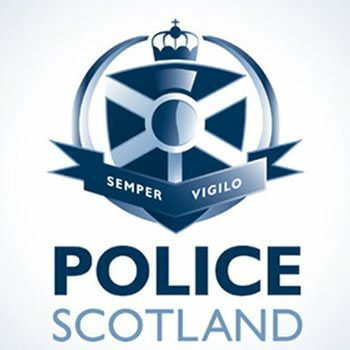 Having completed a previous project for BBC Scotland in the same facility, CSI (formerly ESE) were commissioned in a joint venture with Dexion to provide a new secure tape store for the storage of ‘rushes’ digital tapes. 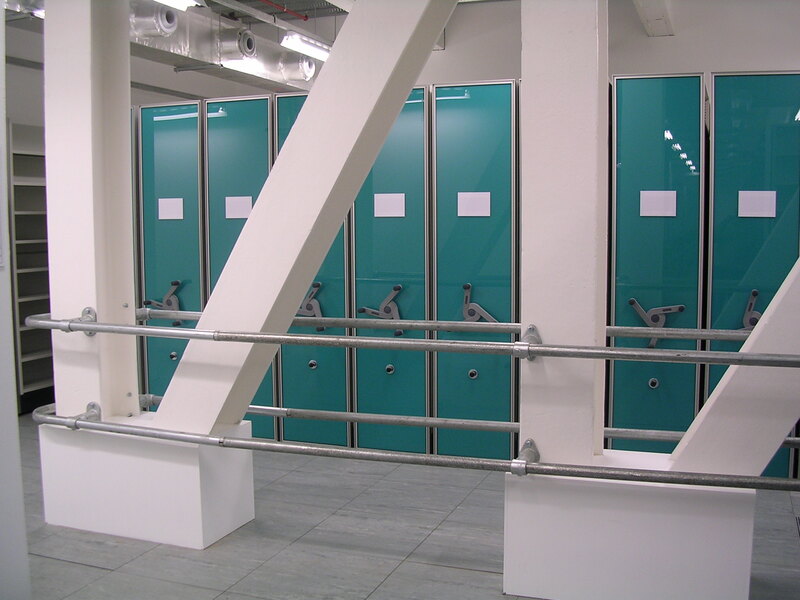 With the existing storage of the tapes on static shelving, the BBC required this to take place within a smaller footprint while still providing easy and efficient access due to the high-use of the items stored. CSI held meetings with the BBC staff that would be using the installation to understand their workflow and plan the design accordingly. The architect who designed the new facility was also consulted to ensure the finished installation would match the overall concept of the new building. CAD drawings complete with 3D renderings were provided to aid in the visualisation of the final installation. To maximise the available space and provide quick and easy retrieval of the materials stored, Bruynzeel Mobile Archive Shelving was installed. As the mobile system was installed on a computer access floor, floor jacks below the mobile rails were fitted to transfer the load of the system to the concrete slab below. Bay elevations were all designed around the size of the tapes being stored, again to maximise the volume of tapes per bay. The lay-out of the system was designed specifically to benefit the workflow efficiency of the BBC staff, and to suit the available space. 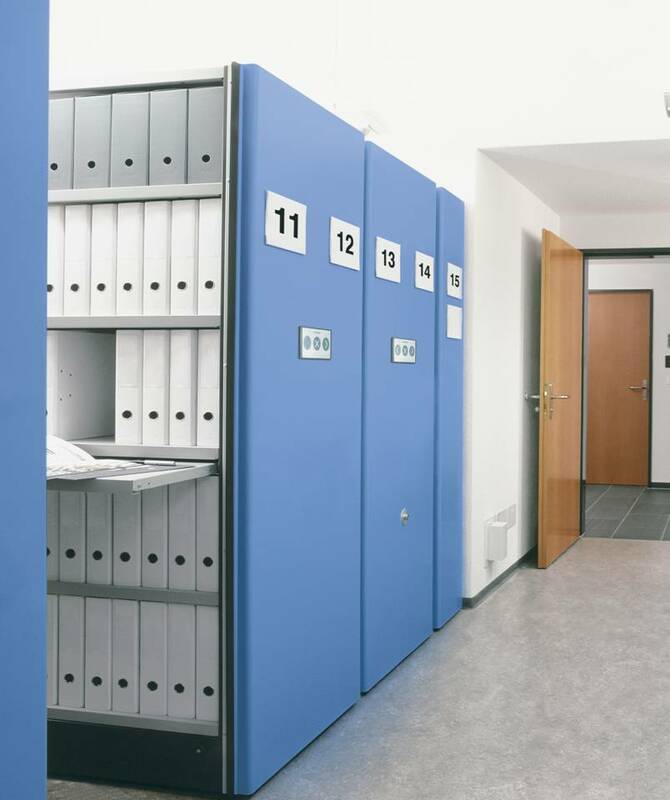 As this part of the BBC storage facility would not be as much of a focal point within the building, the client specified the finishes around functionality rather than aesthetics. Fully flexible, the whole mobile system including shelving, floor bases and tracks could be added to or relocated in the future, giving the client long-term return on investment. 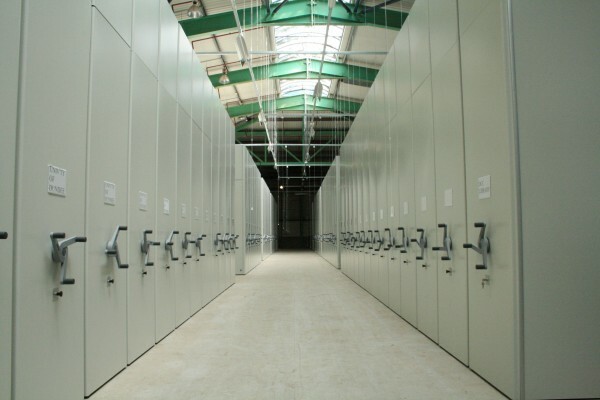 Scope of Works : Full turnkey project involving the design and installation of a bespoke archive storage solution. 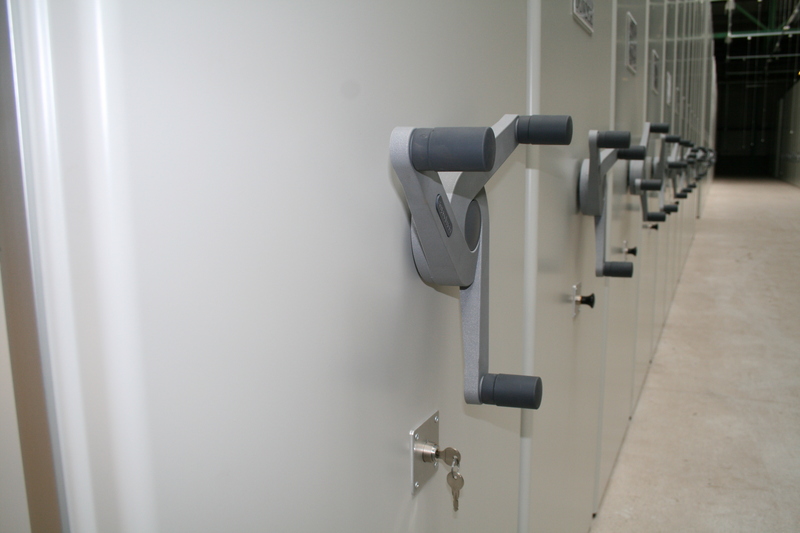 Through taking time to understand the needs of the client and using expert product knowledge, CSI was able to deliver a bespoke storage solution that exactly suited BBC Scotland’s requirements. 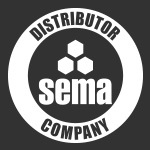 The final storage solution not only took place in a smaller area, but maximised that area in terms of storage capacity and workflow efficiency.